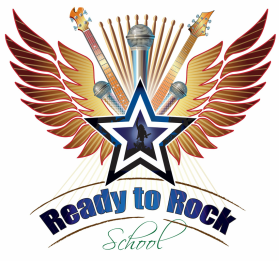 One of the best aspects of joining Ready To Rock School is the opportunity to play in exciting charity gigs, held three times a year, in front of a great audience full of family and friends PLUS more opportunities to play out at local events including the legendary WEDGEWOOD ROOMS and the magnificent VICTORIOUS FESTIVAL. Add to that even more chances to feature with our tutor band, T-S & THE YOUNG BLADES at our pub or club gigs.... OR even form your own band and play out independently as many of our students past and present do. Current/former students and rock school tutors' past and present bands:- THE J.A.R.H., NAMELESS, FORCE FOUR, LUCKY 13 aka FOOLS, SAHARA SNOW, BLACK & BLUE, OLD SARUM, NO PRISONERS, FLYING MACHINES, THE RETURN, THE COLLISION, KODAH, ROGUES, 7EVENTH SEA, KASSASSIN STREET, OUR PROPAGANDA, LONA aka JUDAS, NEWMAN & SUMMERS!! The charity gigs provide a regular target for all of the students to aim for and really give them the chance to show what they have been learning and demonstrate the progress that they have made in the previous four month learning period....it's truly inspirational!! We ensure that we allocate the ticket donations made towards these regular gigs to suggested and recommended charities from our broader Ready To Rock School community and the curious public, to help raise awareness of the same and to contribute towards their running costs.